Whether going on a tropical holiday or signing off for a staycation, nothing beats the feeling of turning on your out of office email responder. The problem is, we aren’t doing it enough. According to a study by Ernst and Young, one third of full-time workers globally say managing work-life has become more difficult. Therefore, vacation days are going unused. Specifically in the United States, a whopping 705,000,000 vacation days went unused in 2017. 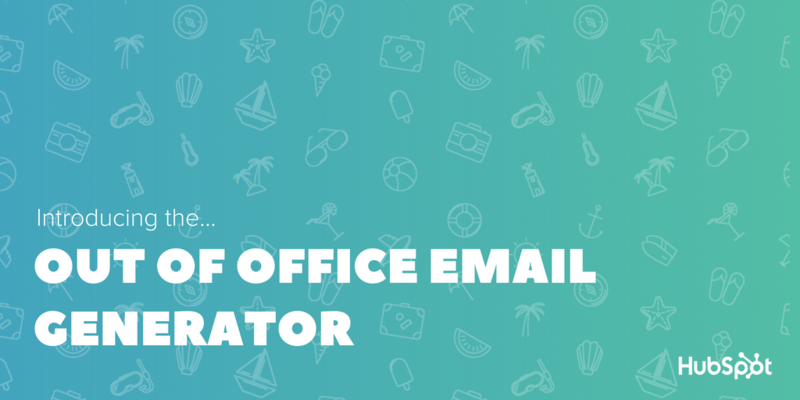 Today, we’re introducing a free tool to help put the fun back into taking vacation: The Out Of Office Email Generator. Historically, robotic, boring out of office email replies have reflected the 22% of people who feel guilty about taking time off thanks to phrases like “I’ll be checking email periodically”. Instead of thinking of time away as a chore, we should see it as an opportunity to unplug and recharge. The reality is that it’s been proven that taking time off from work improves productivity and engagement. According to Nielsen, more than 70% of vacationers are satisfied with their jobs. But of those who don’t vacation, only 46% satisfied. At HubSpot, we encourage employees to take time off. We don’t track days off, and we have an unlimited vacation policy. Why? 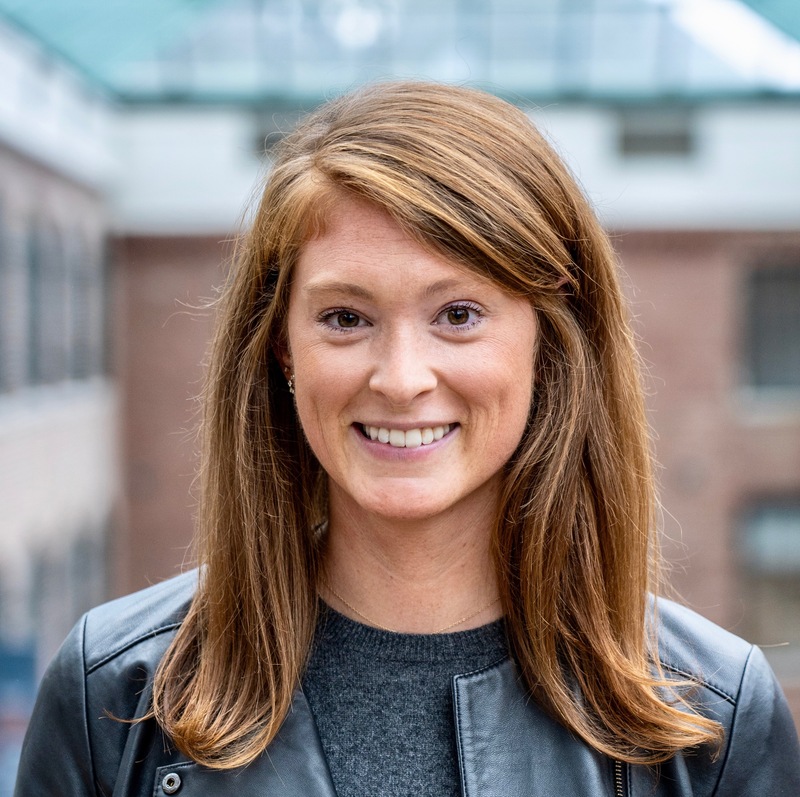 Because talented people who believe in your company’s mission should be trusted to build a schedule that works best for them, their families, and their passions. That’s why we give employees the autonomy to recognize and decide when they need a break away from work. The result? Our Co-founder and CTO Dharmesh Shah said it best: “One signal for a positive culture is when people don't feel guilty about taking vacation and instead get joy from sharing their vacation stories and photos with colleagues”. Hi there, thanks for your email. Unfortunately (or not, if you’re me), I’m on vacation in [Destination] until [Return Date]. And before you get jealous, I have something that will help your office blues. Please enjoy this relaxing, 10-hour YouTube video of ocean waves. You’ll feel like you’re on the sandy beaches of Hawaii! Oh, this is awkward: You’ve caught me away from my desk. *The crowd gasps*. I’m in [Destination] until [Return Date], and I know I’m supposed to say I have limited access to email but the truth is, the WiFi works just fine here #SorryNotSorry. I’m just enjoying some [Activity] instead. Once I wrap up my holiday, I look forward to following up with you. What if it’s urgent? [Emergency Contact Name] can be reached at [Emergency Contact Email]. Have a great day! Hi there - I’m out of the office until [Return Date]. If you have important questions, email [Emergency Contact Email]. If you want to know more about what it's like to have a day off, go watch Ferris Bueller's Day Off. If you were wondering what country Jeju Island belongs to, it’s South Korea. I'll be back for more of [First Name] fun facts on [Return Date]. Visit ooogenerator.com to get your own personalized out of office email before your next vacation. And, don’t forget to leave your guilt at the office. Taking time away is good for you, your team, and your organization. So, set the OOO email and forget it (at least until you return) and let’s give ourselves the the time away from work we deserve.